This design themed edition examines 'hacking' among online design communities. Other highlights include a look at football and fashion, Alice Rawsthorn's latest book and much more. We explore the impact of football on five decades of men's fashion as Manchester's National Museum of Football unveils its 'Strike A Pose' exhibition. Ever since the abolition of the footballers' maximum wage, players from George Best to Beckham and Balotelli have been bringing bling to menswear. 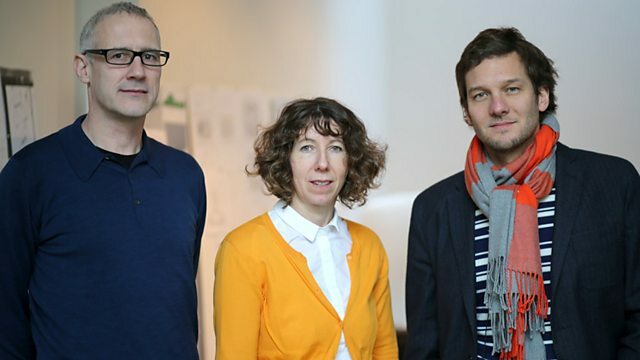 As a new exhibition focusing on extraordinary yet everyday objects opens at the Design Museum in London, Charlie Luxton meets design futurologists Anthony Dunne and Fiona Raby, both professors of interactivity at the Royal College of Art who have taught and mentored some of today's most successful and daring designers. Writer and Design Critic, Alice Rawsthorn discusses her new book 'Hello World: where design meets life' and assesses the changing role that design can play in modern society. All this as well as a look at the photography from the life and work of Philip Treacy, milliner to the stars.